Home » » Most Wanted' Criminal is Nabbed After Bragging on Instagram. Most Wanted' Criminal is Nabbed After Bragging on Instagram. Christopher Ricardo Gonzalez, a social media loving fugitive, unknowingly gave himself up for arrest after posting a live video on Instagram. According to NY Daily News, the teenage suspect linked to a killing case was named one of Texas’ 10 Most Wanted Fugitives. He was caught in Los Angeles on Tuesday after posting a live video on social media, police said. The 18-year-old was wanted by Dallas police on suspicion of murder, aggravated robbery and engaging in organised crime. He was arrested by Los Angeles officers after Dallas detectives found him when he “posted his location on Instagram Live,” police in Texas said in a news release. 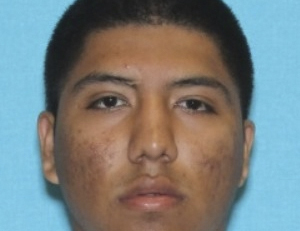 Investigators said Gonzalez is affiliated with the Bloods street gang and he had been named to Texas’ Most Wanted list in August, Associated Press reported. He was in custody Tuesday and expected to be extradited to Texas, police said.